Order vouchers for your event or catering business at Helloprint. 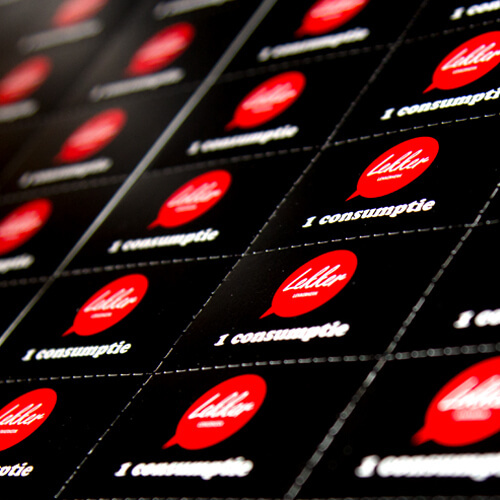 Original consumption vouchers are very creative and professional and give your event just that little extra. At Helloprint, we print your drink tickets in full colour. You can submit your files at any time. So order today and submit your files later, we'll send you the info later. 2 How many prints would you like? 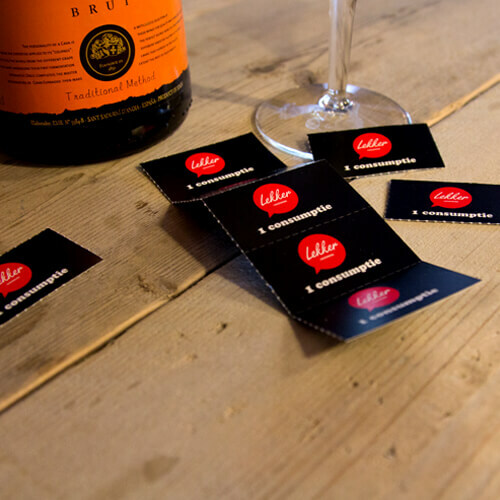 Consumption vouchers are vouchers used for your guests or friends to use as a voucher to receive consumables at a party or event. 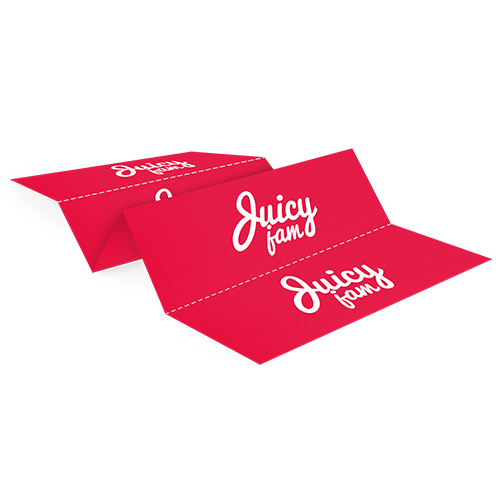 By using a perforation line, the vouchers can be distributed easily. Serve as a method of payment at parties, events or sports tournaments. For the delivery of your consumption vouchers we use multiple carriers. Because of the highest reliability, in most cases we use UPS or DPD. The consumption vouchers that is chosen in most cases can be selected via our website. 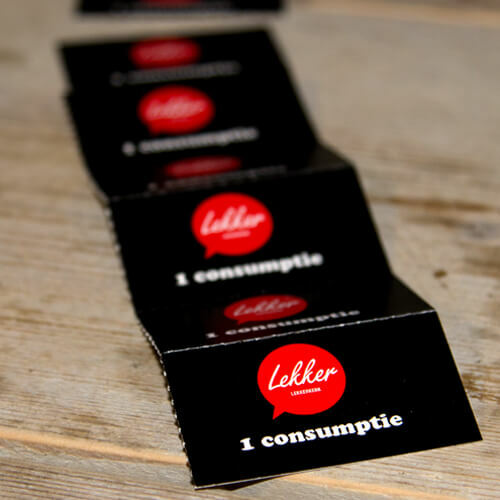 Will the consumption vouchers be delivered as loose vouchers? No, the consumption vouchers will be delivered per 6 on one sheet. Note: Ordering consumption sheets is available per 6. So if you choose a quantity of 100, you get 600 consumption vouchers.